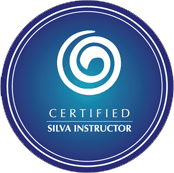 Only those who have completed Level I the Silva Life System Seminar, will be eligible to attend the advanced training – the Silva Intuition Training Seminar. The Silva Intuition Training Seminar is a proven time-tested system that activates the intuitive and psychic abilities that lie within each of us. This is done through guided meditations. Using creative visualisation that effortlessly guides the student into an expanded state of Consciousness, whereby one experiences the interconnectedness of all beings. The focus will be on further developing your intuitive abilities, inspiration and creativity. You will learn how to identify the purpose of your life, the mission you were sent here to fulfill, as well as how to heal yourself and others. You will learn to function at different dimensions, and make contact with your Higher Self. You will learn to be intuitively guided for the rest of your life. When you complete this Seminar, you will have undeniable proof that your intuitive abilities have been awakened and activated. And it is this Intuitive Mind or Inner Wisdom that will provide you with the guidance, wisdom, healing, inner peace and happiness that you are seeking. Call Irene on +64 9 8189123 for more details.